Individuals aren't just connecting online, they're building connections that slowly evolve into "nicheworks" focused networks connected by interests and themes. Over time they realize that their social graphs become valuable networks and as such, their attention becomes exponentially valuable. 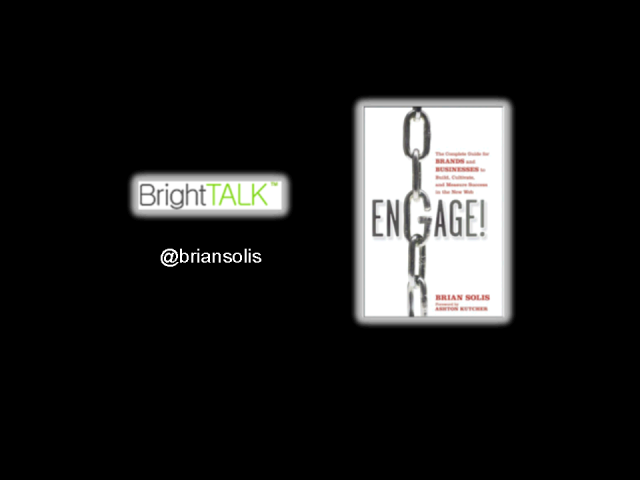 Brian Solis will explore the evolution of social networking into contextual networking and how brands can earn mind share and in turn, market share.